Before customizing your own muscle building diet, your general goal should be to gain a half-pound to two pounds of muscle each week. That is two to four pounds of muscle each month. To accomplish this weight increase, you will need to gradually consume an extra 500-1000 quality calories a day above your basal metabolic rate and exercise exertion requirements. These additional calories will promote faster muscle growth. The average hard-training individual will need to consume at least 10 calories per pound of body weight just to meet their daily basal metabolic requirements. These same individuals need to take in an additional 7 calories per pound of body weight to meet any daily activity need that requires movement and focused exercise such as weight training and cardio. For example, an individual who weighs 180 pounds, who is moderately active throughout his regular life, and who weight trains intensely and consistently, will need to consume approximately 3,600 calories to add quality muscle to his body (180lbs x 17 = 3,060). Many bodybuilders will do well with a macronutrient calorie breakdown of 40 percent complete complex carbs, 30 percent protein, and 30 percent fats. Keep in mind, this example is intended to be a guideline because your body has a unique set of dietary responses. Others may find a different ratio works better for them. It’s strongly suggested that you use your body and the mirror as your main guidelines – if you’re not pleased with how you feel or what you see in the mirror each week, minor adjustments to your nutrient ratio and serving size are acceptable until you find what works best for your body. To encourage muscle growth, strength gains, and recovery, you need to ingest sufficient amounts of high-quality protein along with enough complex carbs to fuel heavy, and intense, training sessions. Strive to consume at least 1.0 to 1.5 grams of protein per pound of body weight and 1.5 to 2.0 grams of carbs per pound of body weight for a baseline. Pay attention to how your body responds to the ratio of protein and carbs you are eating – depending on your body’s insulin sensitivity, metabolism, and body fat levels, your needs will vary but start with at least 1 gram of protein and 1.5 grams of carbs per pound of body weight, and add 25% each week if you’re not growing. Your dietary fat intake should account for 0.5 grams of fat per pound of body weight. There are 4 calories in every gram of carbs and protein, and 9 calories in every gram of fat, so an individual who weighs 180 pounds will consume 180 grams of protein per day (180 x 4 = 720 calories), 270 grams of carbs per day (270 x 4 = 1,080 calories) and 90 grams of fat per day (90 x 9 = 810 calories). 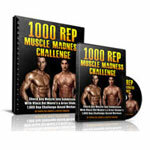 In total, that’s 2,610 calories to gain quality muscle mass without unwanted body fat. So, how do we make up the missing 400 calories? (Remember, our daily calorie guideline is body weight multiplied by 17). The answer: One “Freebie Meal” a day, which I’ll explain in a moment. Establish a regular meal cadence by consuming at least five calorie-dense whole-food meals and one muscle shake each day. At first, this might seem like a lot of surplus calories, but this amount is necessary to facilitate muscle growth. Earn your carbs by timing them as follows: one meal before you train, during your workout, one hour after you train, and four hours after you train. Only give your body carbs when they are required for intense exercise. Rotate your protein sources at each meal to optimize digestion and absorption. The best sources of protein are bison, buffalo, sirloin, venison, turkey, chicken, white fish, salmon, and whole eggs. Hydrolyzed protein is your best protein powder supplement. Rotating carb sources is not as important as rotating protein sources but I believe your body will be more responsive to variety. The best sources are potatoes (all colors), yams, white and brown rice, Ezekiel cereal, Ezekiel bread, oatmeal, beans, and small amounts of fruit. A carb powder like Vitargo or Karbolyn are your best carb powder supplements. Gatorade is sufficient if the first two options are beyond your budget. Eat at least 1 cup of veggies with every meal to optimize digestion and absorption and to control blood sugar levels. Rotate your fat sources each day to get a variety of saturated, monounsaturated, and polyunsaturated fats into your diet — walnuts, pecans, cashews, almonds, all nut butters, coconut oil, olive oil, avocados, and a variety of seeds. Sip on 30-50 grams of carb powder, 5-10 grams of glutamine, 5-10 grams of branch chain amino acids, and 3-5 grams of creatine starting 30 minutes into your workout in order to blunt cortisol (a catabolic hormone released in response to stress), and to initiate muscle growth. 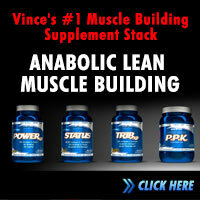 I purchase the majority of my mainstay muscle building supplements from Blue Star Nutritionals. Drink a top-quality organic greens supplement when you wake up. This will infuse your body with easily-absorbed vitamins, minerals, amino acids, chlorophyll, enzymes, phytonutrients, and alkaline salts that help neutralize acids and ensure your cells are living in an environment in which they can thrive and grow. I recommend Super Greens from Living Fuel or Genesis from Prograde. Notes: This individual can rotate his protein sources by having buffalo, sirloin, turkey, chicken and venison. It’s okay to eat meat with breakfast! Note: This individual can rotate his carb sources with yams, Ezekiel cereal, quinoa or rice. Any coloured vegetables are optimal. Any white fish option is acceptable because they are low in fat, rich in B vitamins, rich is selenium, a great source of iodine and high in protein. Note: The carb powder can be adjusted based on the intensity of the workout. I pack my Vitargo in my gym bag. Sometimes on leg or back days I need more. On a smaller body part day or lower intensity day, I might not have my carb powder at all or I’ll reduce the amount. Use your “current setting” to dictate the need for carb powder. Note: If you have a Greens powder, having 1-2 scoops after your workout is excellent for reducing the acidity in your body and shifting your body to a more alkaline state. Note: Sometimes I go to a healthy restaurant and get the Mixed Grill dish which comes with a variety of fish, chicken and steak plus brown rice and vegetables. A variety of protein sources post workout is an amazing option every a SUPER hard workout. Note: Mixing turkey, egg whites, brown rice and veggies into a stir fry is a great dish. Sometimes I’ll add hot sauce, spices or a salsa for healthy flavour. Note: Unless you’re training late at night, always strive for protein and fats pre bedtime. This helps elevate growth hormone levels while you sleep and keeps you full with lots of quality nutrients while you sleep and get ready to do it again tomorrow! Note: This is a very similar meal plan to the one I followed to bulk up from 214 pounds to 227 pounds (after eight years of training), and on days I could not adhere to the diet plan above, I would substitute one of the meals with a “freebie meal” which is basically anything you wish…even if it’s a ham- burger and fries. A “freebie meal” will make it easier to comply with the rest of the diet, and make it more likely that you will hit your goal calories each day. Lastly, always keep a daily food log to track the calories you consume in the form of proteins, carbs, and fats. By logging your food intake, you provide yourself an accurate snapshot and ongoing reference guide for your nutrition. Think of it as a map. This map will become invaluable when analyzing your trek towards your end destination. Since you can see everything laid out before you, you can easily see where you made a wrong turn if you’re not on track or, where you made a right turn if you’re right on pace for your goal. As the famous business quote goes, “What gets measured, gets managed.” Attempting to build muscle without a “roadmap” is like trying to save a thousand dollars without looking at your bank statements! Class is out. Leave your questions and comments below. Amazing issues here. I’m very happy to look yor article. Hi Vince. I’ve been trying to combine two of my most favorite things I’ve learned from you. Wave loads (to insure progressive overload) and squeezing the bar together. This is for my bench press. How hard should I really squeeze the bar together? I’m squeezing the sh** out of it but in order to get through 2 waves 12/10/8 reps (hoping to build more size vs. strength) I’m having start my waves at about 50-55% of my 1 rep max. Is that too low to build muscle? Thanks! option 3 – Added in with the oatmeal I eat chicken breast with it. I also sometimes have a little bit of sugar. – is sometimes not to often. if I decide to a small little snack chicken breast or beef depending on the day. Note: Beef I eat every other day, Chicken breast everyday, and try to add Salmon as often as I can. Lots of water as well 3 liters a day. I also did not put the snacks that I have but sometimes it will be a can of sardines in tomato sauce or mackerel. I also drink some green tea with greens morning and night time sometimes. on my rest days I allow my body to be normal I just eat the foods with 1 shake. I get up at 5:15am and I am at the gym at 5:45am. Is it benificial to wake up during the night and eat so I will have some extra “fuel” in my system, pre work out? If so, can you recommend what to eat and how long before 5:15am? Hi Vince I have purchased your maximize your muscle, your latest workout product and mi40 now my biggest issue is the potential to gain quality lean muscle! Now in my job I work 10-12 hours a day with a 10-15 lunch break as a pharmacist so it’s challenging to cram in whole meals in those time frames and I workout at 7pm so I’m at a huge disadvantage with my diet but I do fit in 6 meals of liquid/ whole meals so any suggestions? I’m from the uk so I can’t order blue star or prograde or the supplements you endorse! They don’t ship to uk any advice in that area! Your diet is “okay” but no surprise you’re not growing. Thanks for the advice but I make my meal 2,3 whole meal foods into shakes because I don’t get breaks in am and I dont get a break during the late afternoon so any suggestions about the shakes? I know it’s tough to answer but what would you do in my shoes? A clarification question. When you refer to “1 cup” of brown rice or whole pasta, is this 1 cup of cooked or uncooked? I am 39yo and 5’7 and weight 78kgs. I have gained 12kgs in the past 18 months through working out and diet. I basically have been eating what you suggested for the past 12 months but have different timing as I have to train at 1800hrs most days. I still have fat around my stomach but the rest of me is good. MY goal is to get to 80kgs with 10% BF but I am unsure what to change to get there. I am thinking time is now my key but I am also a small eater so maybe increased meal size will help. For carbs… 1 cup is COOKED. Add three 20-minute interval workouts each week. That’s your first step. If you don’t do it the way I’ve prescribed? That’s fine. Very simple approach and totally acceptable. Thanks for the article, I always appreciate your info. The one point of contention that I have is that your calculations are made with body weight without considering fat % as a factor. Someone who is 200 pounds with 28% body fat will need significantly less calories to grow new muscle mass than someone who is 200 pounds with 8% body fat. Sorry, I meant to phrase that last part as a question, wouldn’t someone who is 200 pounds with 28% body fat will need significantly less calories to grow new muscle mass than someone who is 200 pounds with 8% body fat? yup… but I like you to start your calories “higher” even when cutting because if you start too low… where do you have to go? You can only drop them so low before it becomes detrimental to energy and strength. should you take bcaa / creatine everyday or just work out days? I order my meals if my training is late? What about the 2 home made weight gain shakes per day giving around 1600 clean calories do you still recommend this option for gaining lean muscle? The only thing I question is your Pasta (carbing) prework. Shouldn’t carbs be cut 3 hours prior, then reinstate half way through your workout and the meal directly following workout? It’s the insulin and hormone control I’m concerned about. What do you do with pre workout meals if you train very early in the morning…? It’s nice to see how your views have changed since NNMB. You’re starting to revert to eating the way I now eat. Almost paleo style. Plenty of meat, less carbs, less grains and not being afraid of the fats. The whole fear of fats in meats is a myth. And I find this style of eating is very effective for putting on mass and losing fat at the same time. Hi Vince, I’m around 165-170 pounds and 5 foot 9. I’m atheletic and fit. I generally eat very well with lots of raw veges and whole foods. I want to get to 175-180 pounds and do it by eating well and working out hard. I don’t take any creatine or protein powders and dont intend to. In a normal day I will have a bowl of hot oats with nuts/fruit for B/Fast (sometimes with a fresh vege juice). A handful of nuts for a mini meal, raw salad with chicken/fish/potatoes for lunch, fruit for mini meal, then raw salad or cooked veges with a curry and brown rice or spaghetti bolognese with cooked veges mixed through and brown rice.. If you want to gain weight, increase all those portion sizes by 25%. no offense , but some of these bodybuilder guys on sites dont know their stuff!! 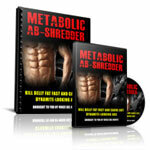 You need to follow Cliff Sheets lean bodies program. Hes been training pro bodybuilders for over 20yrs and has a perfect carb powder blend that has right mix of sugars postworkout! He also has it laid out portions of starchy carbs in each meal for different calorie levels. You basically have lean pro/starchycarb, and fibrous vege at each meal. Decrease starchy carbs to only 1cup at dinner for quicker fatloss! Cut out fruit cause fructose results in fatstoring mode while glucose is sugar used for exercise and will get you into fat burning mode. cut out simple sugars and increase veges as your higher portion of carbs for fuel while decreasing starches. You need whey postworkout cause its fast acting and absorbes in 1hr. Eat a meal pro/complex carbs within 2hrs postworkout. Im amazed how popular energy/gatorade drinks are when they have colors in them and high simple sugar levels!! The larger the meal, longer time needed for digestion before exercise. Dr. Mercola says that more frequent smaller protein sources are better than larger ones cause protein synthesis increases and muscle breakdown is stopped more frequently and metabolic rate is kept higher that way! everyones body is different thats why noone can tell you exactly how many grams of carbs, fat to eat daily, its up to you to notice how your body reacts. Ive learned myself that I need to decrease starchy carb portions because im sensitive to them. Ive also read about MMA fighters who are vegetarian and get plenty of fuel with veggies, so this proves they are powerful! good luck to ya. When determining the overall calorie requirement for the day do you include the veggies as part of the carb macronutrients and the overall calorie goal? If the goal was to have 200g of carbs that day what splits would you put starchy carbs and veggies? Not necessary. They are virtually “free” foods. What do you consider “overload” Peter? The ratios are pretty balanced. Thanks for the great article! What do you recommend for a female trying to gain weight? I am 120lbs and would like to eventually be 130. Been following you for some years now and it keeps getting better and better. Thanks. However I recently started a cutting fase, which brings me to the question: Should one follow the same nutrition strategy, while being at a calorie defict (eating carbs surrounding workout) or should a different strategy be applied (ex. carbs in the morning, and pre-/post workout)? – depends how lean you are right now…. The leaner you get… the more important it becomes to control insulin which means I only do high glycemic carbs DURING the workout until I have a few percent bodyfat to go and then i cut even my sugar carbs completely (but that’s when going from 9% to 4%). – i think you’ll get the best results with carbs starting DURING your workout and 2 meals after your workout (complex style carbs). Rest of day… proteins and fats to control hormones. I was wondering if you could give me a rough idea of how my diet plan should be. Monday to Friday I get up at around 6:30am but I wont train until after work at either 4pm or 5 pm for 1 hour. Can you please adivse of a meal rotation for that? I got a better idea. Why don’t you design your own diet based on the principles I gave you and I’ll critique it for you. OK… here is goes. This is what I am working around atm. Diet has always been my only flaw with my regime I use to be obese and then became anorexic and so food is always a trouble of mine. Hey Matt. What’s your current weight and goal? I am 6ft 1″ and weight around 200lb. What i am looking to do is gain lean hard mass. Some good tips here. As you say we are all different and have different needs. Percentage body fat makes a big difference. If you are lean you can eat more carbs, but if you are carrying more fat you may find you need to reduce these and become more lean before you can gain much in the way of quality muscle. So you’ll change your diet to more carbs when you have leaned out. Hey Vince. I was wondering, what if I can’t even use simple supplements such as carb powder Glutamine, Creatine and BCAA? Are there any substitutes? And you have these during the workout, which makes it even more inapplicable for me. Not that I’m allergic to them, but I’ll be dead if my mum finds out. But make no mistake, I really want to. Also, how can you just eat at a restaurant…you can’t be sure be 100% sure with the total calories of the meal ordered right? What if it goes really far away from your target calorie for that particular meal? No worries…. most of the supplements only came on the scene in the last decade. Great physiques were built all through the ages WITHOUT supplements… in the end… a 5 meal diet of whole foods is whats going to contribute to 90% plus of your growth! Make the best choice possible in a restaurant… just get re focused if you mess up. 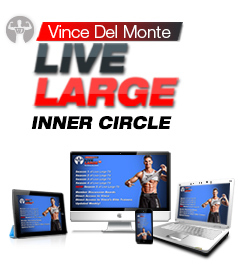 Like Vince said in several of his vids, diet and nutrition are 95% of the battle. Supplements only take you the last 5%. If you can’t get all of the supps, the diet and knowing your calories day in and day out will help you get the gains your looking for. As for restaurants I think that some of the online tools for calorie calculators do a “ok” job at helping you estimate what a meal at a resturant will give you. It’s always hard to eat out with friends and stay true to your goals, but sometimes you can just turn that into your “Freebie” meal as Vince calls them. If i do workout late at night and have only time to have my PW shake and a meal 2 hours later i shouldnt include any fats right ? When should i include them ? Also is it ok to just have the simple carbs after i workout, because i use an intra workout drink wich includes glutamine, bcaaa’s and creatine but it is too sweet for me to add in carbs.. or are the carbs intra workout the reason why cortisol levels will drop ? I would prefer you have the carbs with your aminos while you workout. Then a protein shake on your drive home. Then when you get home, since it’s right before bed…. protein, carbs, fish oils and a little fat is fine. Please explain what exactly i should be drinking before, during and after workout. eg is it a shake or something like powerade? Also you say to get rid of fruit juice but then theres fruit juice in meal plans. drinks will be unnecessary unless you feel you need an extra one for energy. Yes, If you hate all your goal calories from your whole foods meal plan, you only need the intra workout drink. Some guys miss a meal here and a meal there and i was suggesting during a pre and post carb/protein drink to make up for those missed calories. Thanks for the great post, just wondering what options do I have for a carb drink during workout? Could that be maltodextrin or not? Yes… a fast acting sugar. Karbolyn, Vitargo, dextrose, gatorade… all options. Rotate them around to prevent bloating. Just want to clarify your formula. Is it body weight x 17 or is it lean body weight (i.e body weight – body fat) x 17? Keep this in mind… there are literally HUNDREDS of different calorie calculators out there… Understand this: NONE OF THEM ARE PERFECT. Look at them as TOOLS to give you a STARTING POINT to work from. After you implement a plan, tweaking must happen to progress forward. So if you use Ben’s formula… use his and tweak from there. If you use mine… use mine and tweak based on how you respond. Now the 17 calories per bodyweight. Should that be calculuted after subtract your bodyfat percentage or just whatever you weigh? 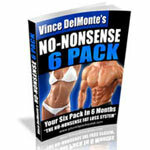 Vince, I’ve heard different opinions on whether or not it is ok to have carbs in the morning. In MI40 it is recommended to have only protein, fats, and veggies in the morning. In 21dayFMB it is recommended that you have carbs as well. Which is more efficient? Is it necessary to have carbs in the morning for a hardgainer? It depends on a few things…. 1. If you’re SUPER SUPER lean (under 10% fat) and having a hard time gaining muscle weight, eating carbs in the morning is ideal. 2. For someone overweight or who has more body fat than they prefer, having the Meat & Nuts breakfast (protein and fat and veggies) is better for controlling insulin levels. 3. It depends if you train early morning too and how you feel without carbs before you train. Some guys preform BETTER… some feel like crap. Experiment! Do you believe in the “dont eat beef everyday” theory or have you gotten along fine with it. Grassfed beef is my fav source of protein but i worry about eating it for muscle growth everyday. Thoughts? The only way to get the true answer on this is to get your blood work taken and get your cholesterol levels checked 1 or 2x a year. I do this myself and my numbers are in optimal ranges so I continue to do so. But this doesn’t say what can happen to me 5 or 10 years from now…. Wilder animals and wild fish will always provide higher omega-3 content which is healthier…. do your best to get meats with enriched omega-3 fatty acids. So you are saying to basically avoid your typical higher calorie postworkout shake with all your carbs and protein and what not, and replace that with the basic intraworkout drink mentioned above, and end with only a simple whey protein shake post workout? What if your goal is to maximize muscle growth, can we stick to your above protocol for intraworkout and still include a higher calorie post workout shake instead of a simple whey only shake? Yes, I’m finding intraworkout nutrition is more optimal for gaining lean body mass versus post workout. The insulin spike during the workout blunts cortisol too. In NNMB, I recommend pre, during and post but that CAN be adjusted based on intensity of workout, level of leanness and your bodies response. Bartosz – 6 weeks is idea. Then invest in NNMB. 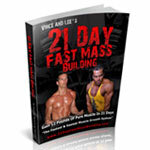 Very hard workout ( I downloaded your free ebook) and diet. But how long did you follow this workout for? You got lots of muscle mass that is very good results.